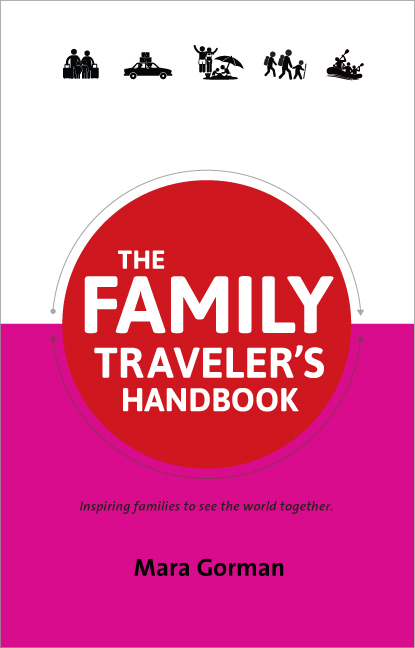 This week I’m starting a new weekly series of posts focusing on the “how-tos” of family travel where I will cover everything from packing light to saving money to dealing with peak-season crowds. I’ll draw from my own experience and also will seek the advice of experts. 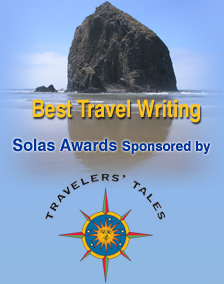 If there is a travel topic you’d like to see covered, please feel free to contact me and I’ll add it to my list. Today I share my interview with Sean Greene, the Deputy Director for Education and Interpretation at the Dallas Zoo. Since Teddy is such a fan of animals we tend to visit zoos and aquariums wherever we go (most recently we checked out the Blue Reef Aquarium in Bristol, England). I thought it would be great to get some suggestions for how to get the most out of these animal adventures. It would be difficult to find a more passionate advocate for zoos than Sean, who started his love affair with animals at the Columbus Zoo as a child and who has worked in zoos from Ohio to Virginia to Texas. 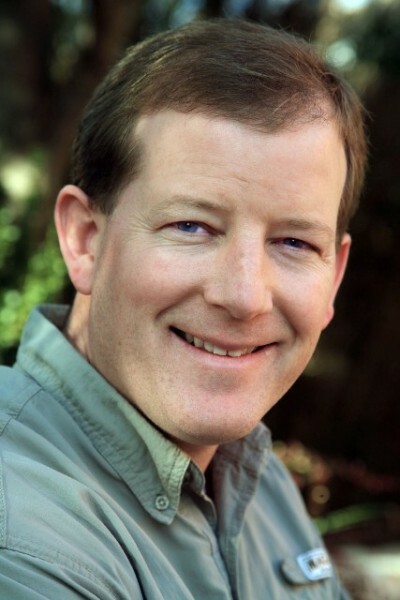 Although he abandoned his quest to become a veterinarian in favor of working on the “human” side of zoo management (otherwise known as education and public relations) he is a firm believer that spending time around animals makes us all more sympathetic toward the environment – and toward each other. I’m very grateful to Sean for taking the time to talk to me and to share his insights. What should parents do before they visit the zoo? If it’s a zoo that you routinely go to, make sure you check out the website for new animals. New animal exhibits are usually online before they are listed anywhere else, and you can make sure that you see them by being prepared. Plan in advance what your objective is – that will help you leave with a good experience. Zoos are about education, we’re about recreation, and we’re about conservation. You may want to plan a visit where you focus on the latter – how do we save and help animals? Again, the website can tell you where the endangered animals are in the zoo and you can focus on those areas. Or you may want to simply plan to visit all of your child’s favorite animals. Knowing in advance where those animals are in the park can help make your visit more fun for your child. Do a little research so you know about animals you especially want to see. Take time to study up on the animals using the zoo website or by going to the library or bookstore and picking up books about specific animals. Books are a great way before and after a zoo visit to reinforce connections and learning. Are there better times of day to visit the zoo to maximize the number of animals you see? In the natural world you have different species and they are active at different times. But if you were going to pick one best time to visit a zoo that would be as early as possible –preferably right when the zoo opens. That’s when the animals that live outdoors are first coming out (they’ve probably been in their night quarters) and are investigating their areas. Keepers also add enrichment at this time like food, spices, and toys that stimulate the animals physically and mentally. 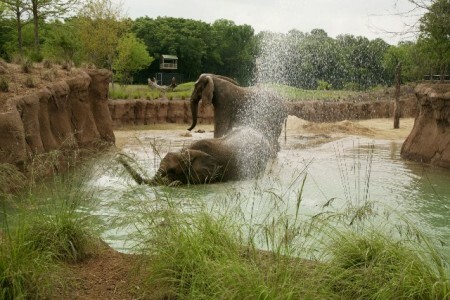 When we get a brief rain shower you’ll also see more activity, especially from the elephants who engage in dust bathing and throw dirt on their backs. So you might want to actually plan your visit for a day with a little rain in the forecast! What can parents do to get the most out of the zoo experience with their child? When you enter the zoo, get a list of that day’s scheduled feedings and activities (many zoos list this right on the zoo map or guide). Before you even take a step past the ticket booth, take a few minutes to plan your day, where to go, and what you want to see. Allow your child to play a role in this planning and ask what he or she wants to see. Don’t plan to visit areas of the zoo that house animals your child is scared of (for example, some children really don’t want to visit the reptiles). Respect his or her fears and interests. Take advantage of any animal demonstrations. At the Dallas Zoo you can see a lion demonstration where the keeper shows off the animal’s paws and opens its mouth. Or at certain times of the day you can see an African Crown crane fly across the savannah. And even if you’re not watching a demonstration, feel free to ask questions of keepers that you see during your visit. Some are outgoing, some are a little shy, but all of them have a passion about working with animals. And most of them are willing to talk to visitors. It’s a cool job. 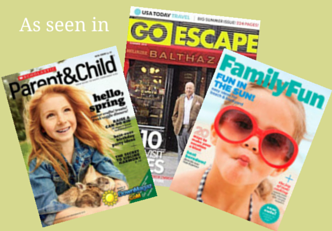 Encourage your child to ask questions – to them the keepers are like celebrities. You might ask how much do the animals eat? Where do they go at night? What are their favorite places in the habitat? What’s the best way to keep your child engaged and interested while at the zoo? Most zoos have lots of graphics. Use them to engage in what I call “stealth learning.” Walk a little in front of your child to read the panel, then stop and point out something you’ve learned to your child. When you’re standing looking at an animal habitat, encourage children who are reading to look at the panel with you. Ask questions about what your child sees. Parents showing interest helps kids to learn. Remember that you’re not just learning about individual animals, but about ecosystems, environments, patterns, adaptations. The panels will often describe these things and you can discuss them with your child. Compare animals to each other and to people. Don’t try to see everything, especially at a larger zoo. Take small bites until you get “full.” Make sure you’re always leaving on a high note. The paradox of a zoo is that we are a home for wild animals yet kids learn through touch and being able to see them up close. And interacting with the animals is a tremendous educational tool; we just have to do it safely and effectively for the visitors and for the animals. We don’t want children to leave thinking they can go out and touch an eagle or skunk that they encounter in the wild. At most zoos there are groups of animals (often farm animals) that visitors can touch –you’ll usually find them in the children’s area of the zoo. And as far as touching wild animals, it gets back to making sure that your messages are really clear. This is a chance to further learning and remove fear so that people won’t hurt animals and will realize their importance to us all. At the Dallas Zoo the giraffe area has a platform that literally allows visitors to be eye-to-eye with the giraffes. And you can buy food and give it to them. To see the world’s tallest land mammal up close, to see their big brown eyes and eyelashes, to see that tongue coming out: That’s a lifelong memory for adults and children. How can parents save money on zoo visits? The best thing you can do is become a member of your local zoo and then go back often. That way you’ll save money on each visit and won’t feel compelled to see everything while you’re there. And if your local zoo is a member of the Association of Zoos and Aquariums they have reciprocal memberships with other zoos. Bring your membership card with you wherever you go and you’ll get discounted or free admission at zoos around the country. As someone who works at the zoo, what are you hoping that families take home with them when they leave? Anyone of any walk of life can go through a zoo – a zoo is a place for everybody. To me at the very basic core it’s having people walk out knowing more about animals and conservation. And most of all it’s about making people more compassionate toward animals, nature, and each other. 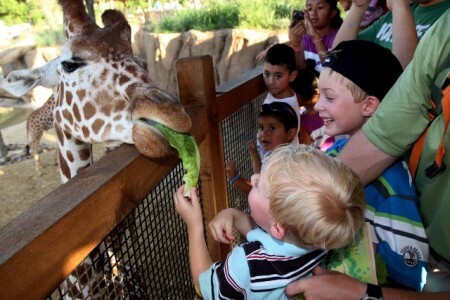 The Dallas Zoo (which I hope to visit someday – I want to feed those giraffes!) opened an 11-acre exhibit called Giants of the Savannah in the spring of 2010. That was a really helpful and informative. I’m looking forward to your next posts. I love this! Great tips — especially about visiting during or after a rain. I’m looking forward to more posts in this series. 24 hours ago by motherofalltrips Terrible drive today but made up for it by eating all the (uh-mazing) pizza.